We know, we know. November has barely started and we’re already on the holiday party style train. After all, no time like the present to make a few key pieces to make last year’s holiday dresses stand out! 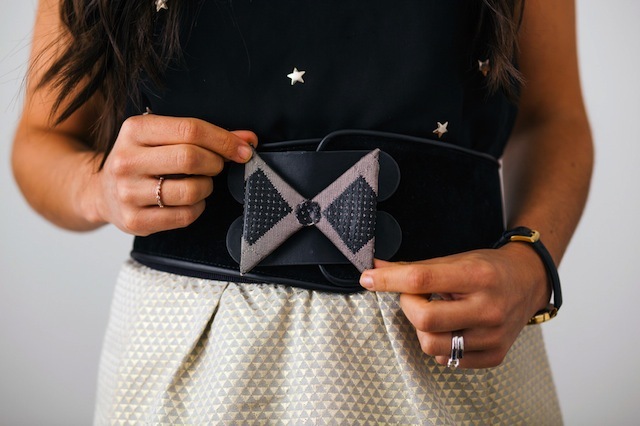 We teamed up with our friends at Velcro Industries to make a glitzy interchangeable belt that’ll fit the bill for Thanksgiving, Christmas, Hanukkah, and New Year’s Eve. Follow the tutorial below to see how it’s done. We’ll start off by talking about our materials. 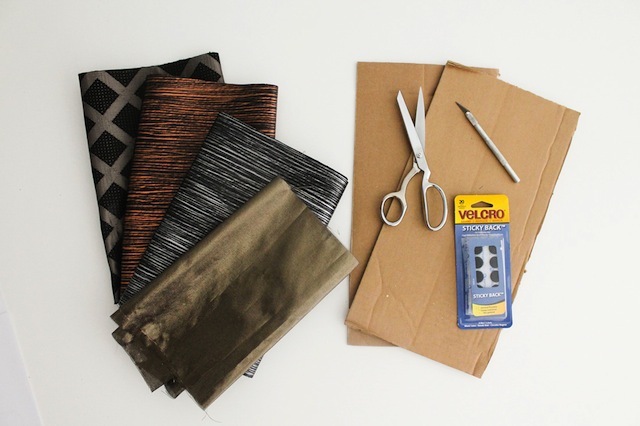 We found a bunch of cool metallic fabrics at our local fabric store. You want to make sure they aren’t stretchy at all. 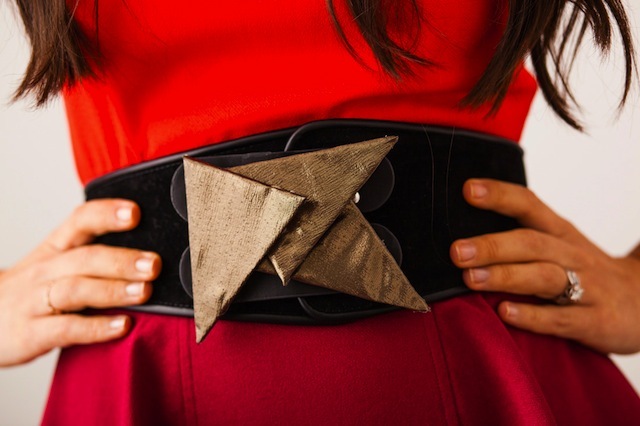 Of course, you need the perfect belt. 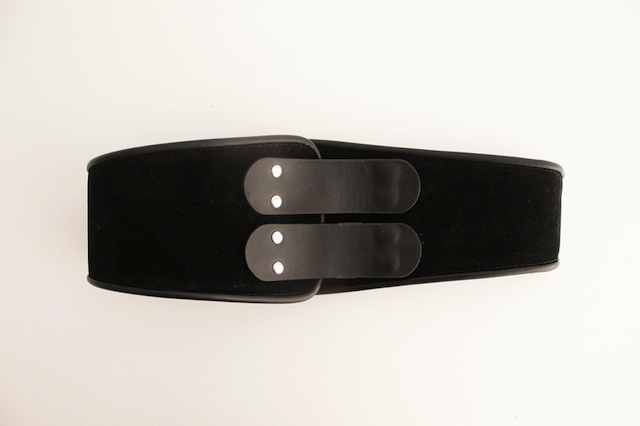 These thick black belts are available all over the place – maybe you even have one that’s in need of an upgrade? 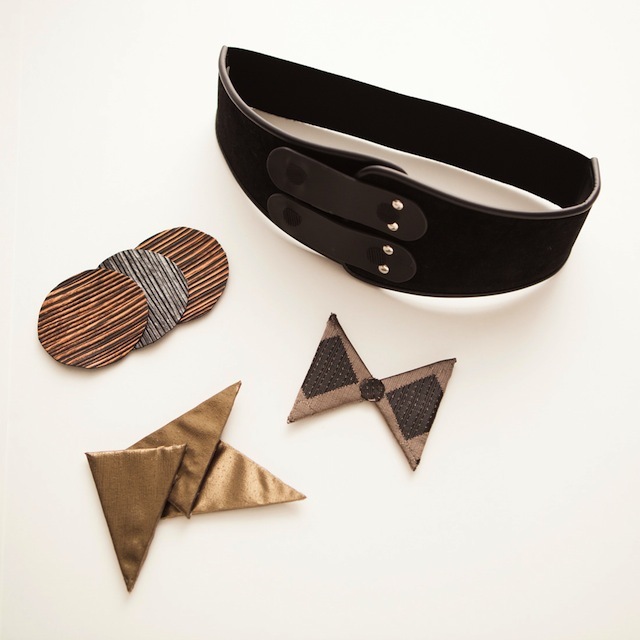 We’ll start by showing you how to make a stick-on bow, the most complicated part of this easy tutorial! Print out our bow template. You’ll see that there is a “cardboard” shape and a “fabric” one. 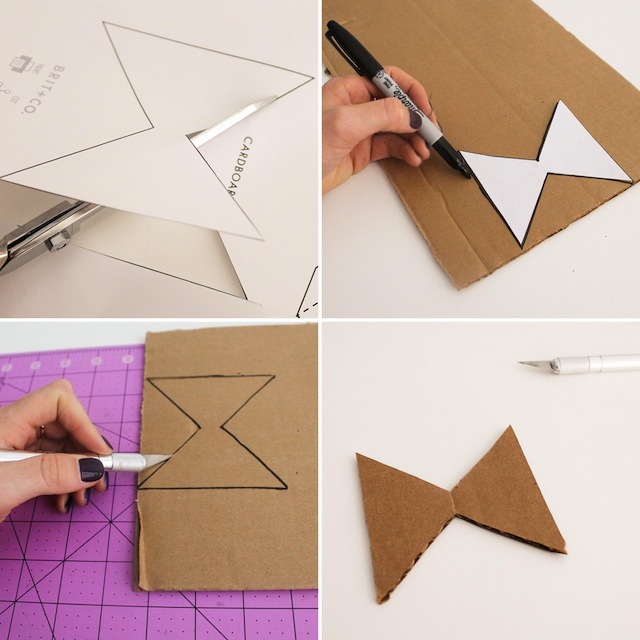 Cut out the cardboard piece and trace onto cardboard. Then cut that out. Now trace the “fabric” shape onto the fabric. As you can see, we’ve left room to make it easy to wrap your fabric around the cardboard. 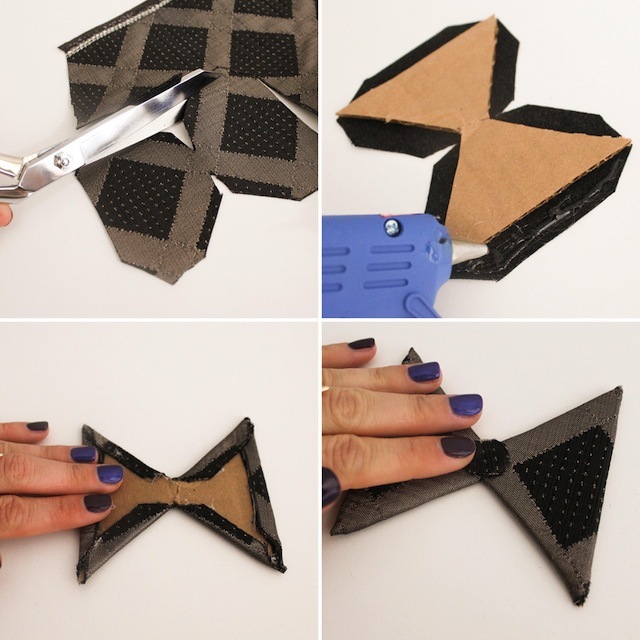 Use hot glue to attach the fabric to cardboard and wrap all the way around. Cut out a little circle and glue onto the center of your bow. 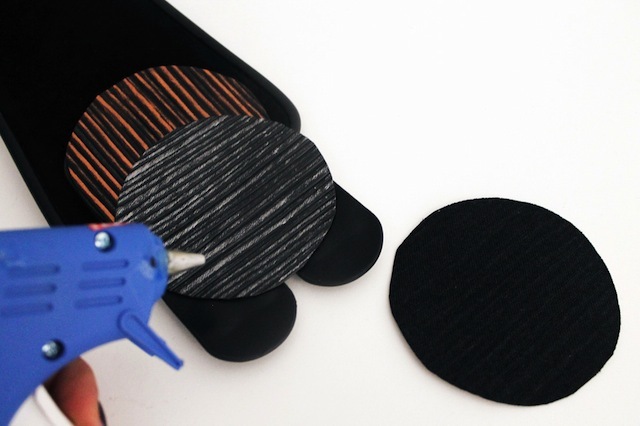 To attach to the belt, we’ll use VELCRO® Brand Sticky Back™ Black Dots. 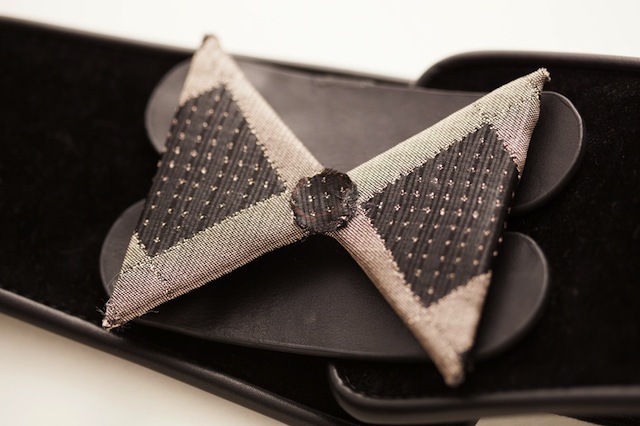 Attach one side to the belt in four places. Then press the opposite side onto the dots so that the adhesive side is facing up. Press your bow right onto the sticky side. Pretty darn cute, don’t you think? We did something similar with these dots, but we didn’t need a cardboard template. 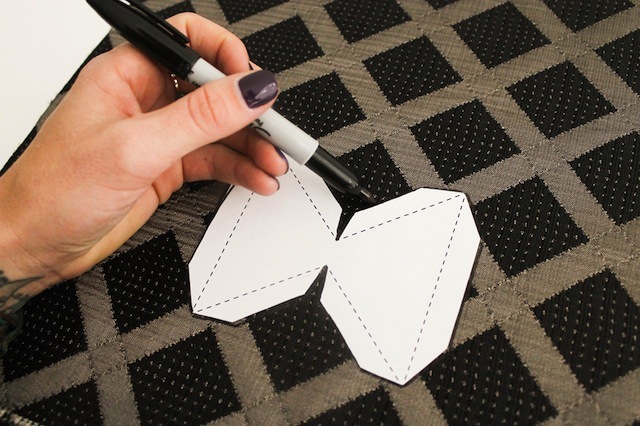 We simply traced the circle template onto our fabric, because it was a stiff almost vinyl material, and then put the VELCRO® Brand Sticky Back™ Black Dots right on there. 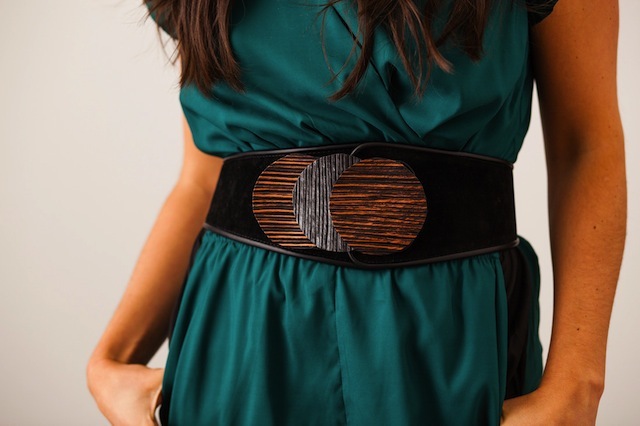 To style it up, pair this belt with one of the awesome jumpsuits from our jumpsuit roundup. Love that green! Finally, we created a collage of triangles. For this, we wrapped the fabric over cardboard again, as we did with the bow. This whole outfit might be our favorite one of the bunch! 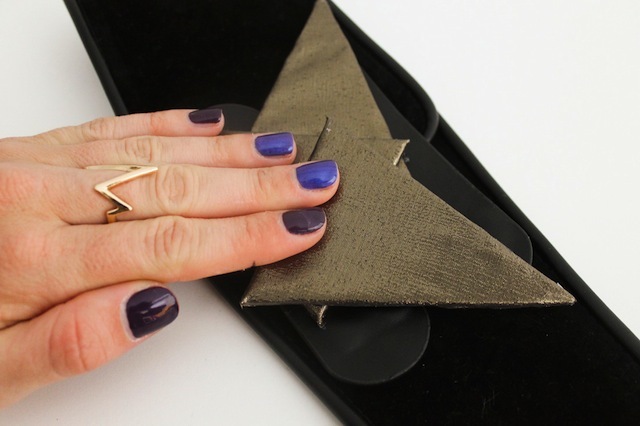 What are your go-to accessories for holiday style? Talk to us in the comments below.